Come and enjoy monthly talks given by experienced astronomers and leading research scientists, and learn about the latest developments and projects in astronomy, astrophysics and cosmology. We also hold monthly club meetings at which we view the stars, talk to each other, question, demonstrate, explain and present. Please arrive soon after 7pm to book your place and pay entry or membership subscriptions. previously named South Cheshire College. Planets are connected to their surrounding plasma environment by their planetary magnetic fields, which threads the atmosphere and generates the magnetosphere. This interaction generates bright auroral signatures. Each planetary system has different local conditions. Jupiter and Saturn are rotationally dominated gas giants with strong magnetic fields and geologically active moons within their magnetospheres. The Earth rotates more slowly and has a relatively empty magnetosphere. By comparing these systems, we can understand which physical processes dominate under different regimes. I am interested in the auroral acceleration region, auroral current systems, and the effect of the upper atmosphere on the magnetosphere. On the day we experienced some technical set up difficulties. Despite this, whilst we were struggling to fix the problems in the background; Dr Ray gave a wonderful virtuoso performance using the white board to conjure clear diagrammatic drawings and what amounted to ballet to illustrate the dynamics. Dr Ray has kindly allowed us to take a copy of the PowerPoint presentation she created and used for her talk to us. 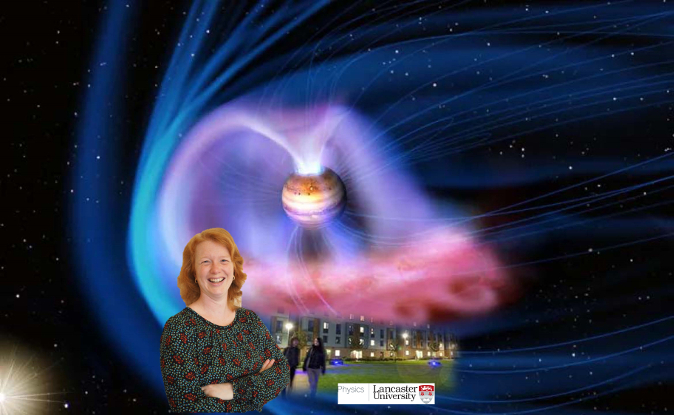 To access it click on the following link: Dr Licia Ray's PowerPoint presentation for April 2019 talk to SCASTRO. If you have the Microsoft PowerPoint application and the space and time to download the chunky 205MB file, then this yields the best viewing experience. Otherwise you can use a suitable web browser to view it, via the above link, through Microsoft's online PowerPoint viewer. Note that some of the most popular browsers are incapable of showing many of the embedded videos. Those that can't, include: Microsoft's Internet Explorer (IE), and Edge; and Google's Chrome browser.